Second language writers and the teaching of writing at the secondary level have received little attention compared with other skills such as reading. 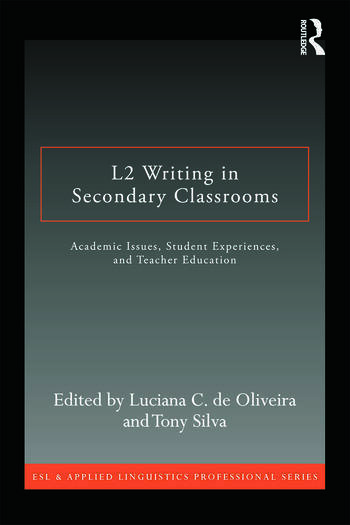 Addressing this gap, this volume uniquely looks at both adolescent L2 writing and the preparation of secondary teachers to work with this population of students. Part I, on adolescent L2 writers, includes case studies looking at their literacy identities, their trajectories in mainstream content area classes, and their transition from high school to college. Part II looks at academic issues. The focus in Part III is L2 writing teacher education. Taking a theoretically eclectic approach that can support a variety of pedagogies, this book contributes significantly to understanding adolescent second language writers and to educating teachers to address these students’ specific needs. Tony Silva is Professor and Director of the ESL Writing Program, Department of English, Purdue University, USA.